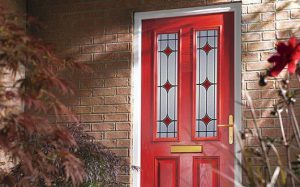 Albany Glass supply and fit an extensive range of doors to customers across Coventry, Kenilworth, Warwick, Bedworth and Nuneaton. We offer dozens of design options to suit your needs, including fully glazed, half glazed, stable style and French windows. 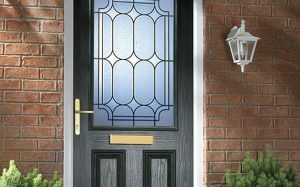 Composite doors are a popular choice amongst our clients. They are compression moulded from GRP (glass reinforced polyester) which is extremely strong, durable and impact resistant. These are available in a wide variety of colours and quality finishes including wood grain. The choice available is very extensive, with many styles of moulding, sculptured designs and panelling. Traditional wooden doors may be your preference or right for your home, and for listed properties they are a requirement. With our comprehensive product knowledge we can help you select the best doors to meet your needs. Hanging doors is an art, and our skilled joiners will ensure that your doors offer smooth operation and long performance. Every doorway is different and you can rely on our attention to detail and high standard of finishing. You might want a like-for-like replacement for an existing door, or you may need to change an inward-opening door to be outward-opening. We can fit internal and external doors, including French windows. Commercial customers in Coventry and Warwickshire are also welcomed. Your retail or business threshold gives that crucial first impression to customers, and we will help you make the right choice in creating a smart entrance to your premises. Please contact us to discuss your requirements and arrange an appointment.